Here is the Top 8 latest and most downloaded games from both the App store for iOS and Playstore for Android for Febuary 2017. Enjoy!!! 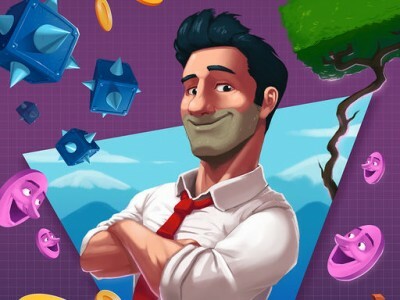 A new game has been released in the App Store called Stagehand: A Reverse Platformer. This is an usual platformer, with one important feature in this game you control the main character named Frank. Instead of controlling the character it runs independently, instead you controls the blocks and the character will automactically collects coins and jump over obstacles. 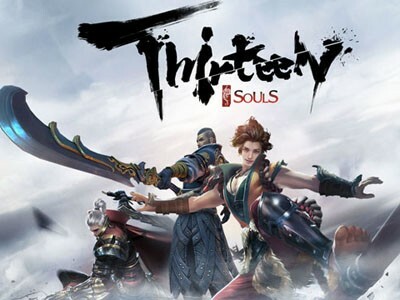 The Thirteen Souls Martial Art fighting project game is now officially released on iOS, and everyone can buy the Game from App Store. Thirteen is a full-view 3D martial arts FTG mobile game. Twelve Chinese zodiac martial arts heroes and various magnificent chinoiserie scenes and maps are rendered in traditional Chinese ink and wash painting style, transporting you into the real world of martial arts! Fighting scenes incorporate special effects like freeze frame, screen shake, environmental transformations, and QTE ultra abilities change to ramp up fighting tension! The original creative gameplay, Rage, is unlike any other traditional FTG games! Various powerful moves can be performed simultaneously in a perfect combo, leaving your opponent no chance to survive! Join Thirteen now and start righting wrongs in the world of martial arts! Lords of the Fallen is a mysterious action game where you battle Gothic monsters in a thrilling 1-on-1 combat. Use swipe controls to attack, dodge or parry. But keep in mind that quick wits needs to be combined with the right strategy to defeat enemies. 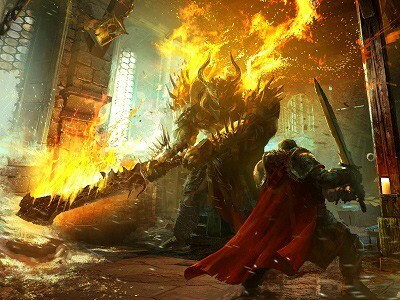 Jump into a brand new mobile experience set in the universe of Lords of the Fallen. Join Harkyn, Yetka and Kaslo as they journey deep into the heart of a forsaken monastery to end the reign of the Demon Queen Akasha once and for all. Fight against unholy horrors using the steel of your sword and the courage of your conviction. Dodge leviathan fists and counter with a flurry of slashes. Chain together massive combos and deliver unspeakable damage with the edge of your blade. Lords of the Fallen puts the action at the tip of your finger through swiping sword strikes and tapping defensive maneuvers. So long as you have quick wits and even quicker reflexes, you’ll be able to go toe-to-toe against those demonic beasts. Be the dreaded Harkyn, scourge of nightmares, the dual-wielding Yetka, or the hammer-handed Kaslo. Find new materials to craft weapons, armor, and amulets and equip your hero in whatever way you desire. DOWNLOAD NOW and make your enemies fall! 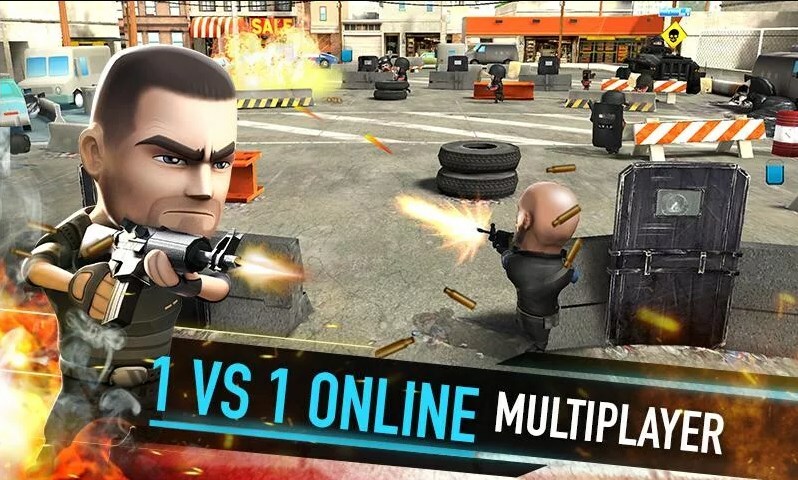 Go to war with your friends and become the world’s best squad in WarFriends, a unique 3D tactical action game from the makers of Mega Dead Pixel. Dodge bullets, dive between cover and take out the invading enemy forces by any means necessary! ONLINE WAR – Create a squad and enlist your friends to fight alongside you in ranked online deathmatches. Can you lead your squad to the top of the leaderboards? INTRODUCING WARCARDS – Build a deck of WarCards with game-changing perks. Deploy them in battle to slow your enemy, boost your weapons, inflate heads and much more! INCREDIBLE FIREPOWER – Unlock a full arsenal of weapons ranging from pistols to anti-tank bazookas! • Play CO-Op with friends in WarPath Mode! Dive into the world of wild wolves and live your life as one of them! 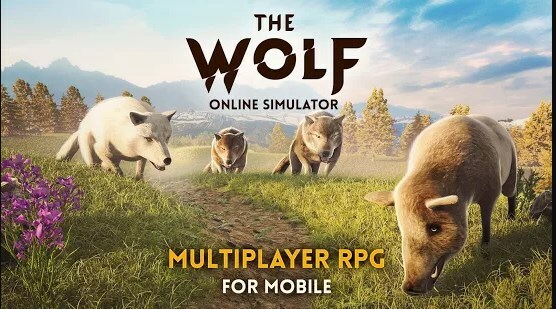 The best wolf RPG on mobile is finally here. Explore the amazing environment, develop your character and upgrade your skills to become the Alpha of your pack! You can try your strength in one of two modes: CO-OP or PVP - everything in Online Real-Time Multiplayer. Play with people from all over the World! 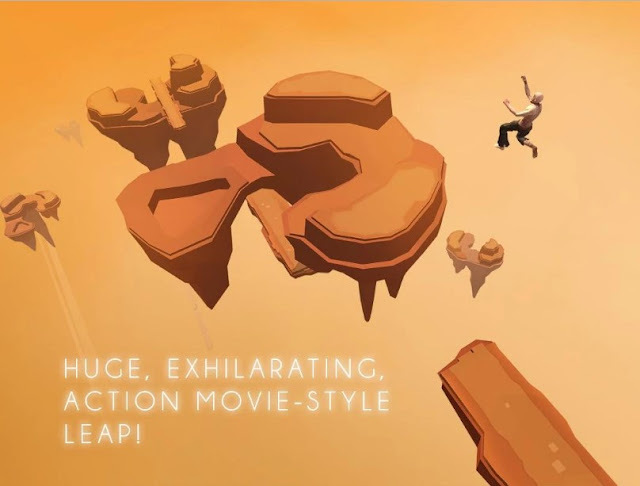 In Sky Dancer you will join the dangerous game called Sky Dancing and push yourself to limitation with every wild jumps through a stunningly beautiful planet! Sky Dancer is for people who love Skydriving and also for whom never experiencing the beautiful of risk while being airbone! Especially when you learn how to get used with the game, you will discover that everything around you isn't matter anymore, it's just you and the endless Sky Dancing's challenges! Inspired by the minimalist 3D art style, simply stunning, every inch of Sky Dancer is visually impressive and delightfully charming. Tap by 2 fingers to jump, tap the left side of the screen to turn left or tap the right side of the screen to turn right. Audios and music are made with love! Our goal is to provide a surreal and beautiful soundscape. Not just with the headphones, we make sure that Sky Dancer sounds perfect with phone speakers too! Discover 10 unique Dancers, more will be added in updates! Challenge your friends for the best score! your devices and your progress will always be in sync. Do you want real time multiplayer action with your friends? Drone Battles is here to deliver the best, action packed skill game here you engage people from all over the world in battles to the death! How to play you ask? The way you play is easy, all you need to do is to eliminate your enemies and deliver more boxes than them. Become the most powerful fighter as you win and move up in the ranklist of only the best players in the world. 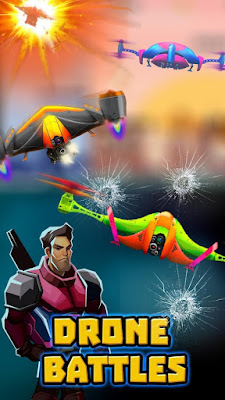 Drone Battles is a game of fun, challenge and great mechanics. You will need to become the true aerial master in the arena. As you play, your RC drone can receive numerous upgrades. You can use these in order to take the drone’s power to the next level. Welcome to Rocket Shock 3D Alpha - we hope that you will enjoy this early version of the game! Rocket Shock 3D is an online multiplayer FPS where projectiles and jumping are the main mechanics of the game. Unlock different weapons and upgrade your player's stats to gain an advantage against others! 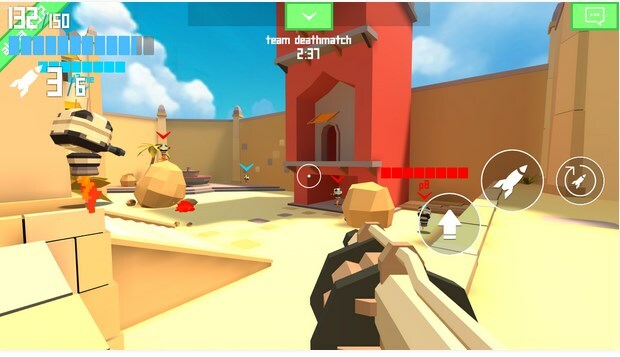 Rocket Shock 3D advances the FPS genre on mobile with new ideas and different concepts, even in this early version!